I want to let you know how air pollution during the summer can affect our health, and share with you my best tips to protect our heart and lungs from harmful pollution! Cut back on driving: Ask your parents to do all their errands at once by linking trips, to bring their lunch to work so they don’t have to drive to get it, and to set up a carpool to school and other activities with your friends’ parents. Sharing rides is a fun way to Spare The Air! Limit your exposure to air pollution: Air pollution levels are the highest in the afternoon and early evening hours. During the summer, it’s best to exercise and play outdoors in the morning or as the sun goes down. Ask your parents to download the FREE, Sacramento Region Air Quality app so they can check air quality conditions for you at any moment! Shop local: Buying local produce at a farmers market is a great way to Spare The Air. When we buy local products, we help reduce air pollution because fewer trucks have to deliver food to our area from far away. Avoid spray products: Products like hair spray and air fresheners that spray chemicals all over your house contribute to indoor air pollution. 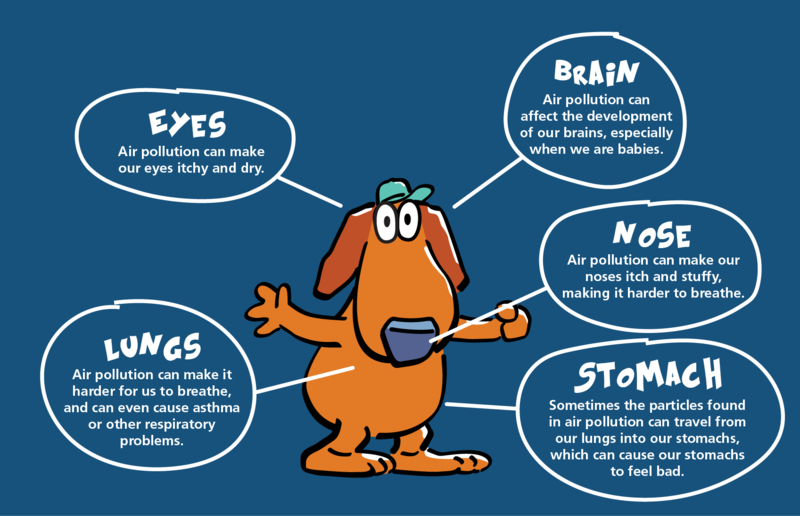 Indoor air pollution can be just as bad as and sometimes worse than outdoor air pollution. Ask them to buy solids, sticks or gels instead! These are just five of my favorite Spare The Air tips. I want everyone to Spare The Air, be happy and healthy. Spare The Air Season is here! Spare The Air teaches us how to improve our air quality and reduce dangerous ground-level ozone pollution, also known as smog. In the Earth’s lower atmosphere, near ground level, ozone is formed when pollutants emitted by cars, power plants, industrial boilers, refineries, chemical plants, and other sources react chemically in the presence of sunlight. Ozone at ground level is a harmful air pollutant. For you and your parents, driving less will help Spare The Air during the summer months and reduce smog. It’s important to remember that because we live in a valley, smog can get trapped on warm days when the wind is calm and it can remain trapped for days. When ground-level ozone is going to be high, a Spare The Air alert is issued. A Spare The Air alert lets us know that our air quality is going to be unhealthy, so we can plan ahead. On Spare The Air days, we are asked to reduce our driving to help reduce air pollution. It’s very important for sensitive groups such as children like us, our grandparents and people with health issues to avoid being outside too much, ESPECIALLY in the afternoon when temperatures and ground-level ozone pollution levels are their highest. 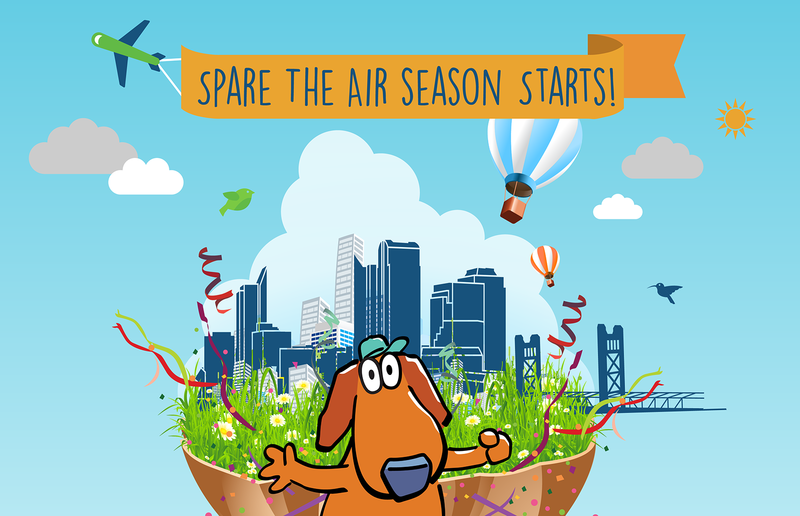 For more air quality information and Spare The Air tips, visit www.SpareTheAir.com, follow on Twitter at Twitter.com/AQMD, on Instagram at Instagram.com/SacramentoAQMD or “like” Scooter on my Facebook page at Facebook.com/ScooterTheSpareTheAirDog. You can also have your parents download the FREE, Sacramento Region Air Quality app so that you and your family can check the daily air quality forecast and get current conditions whenever and wherever you want.